Treasure hunt with all the trimmings -swords, bead necklaces, eyepatches and the like. Ar me hearties! Finish off your pirate costume with this great black pirate hate finished with skull and bones emblem and red band. 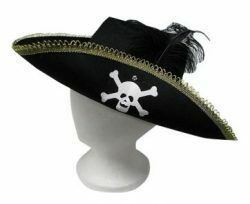 Skull and crossbones black pirate hat with gold trims. 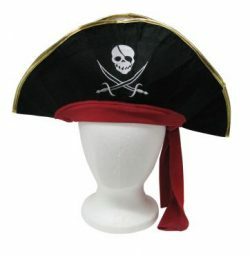 Deluxe pirate captain hat in black with white skull and cross bones, gold trims and black feather. 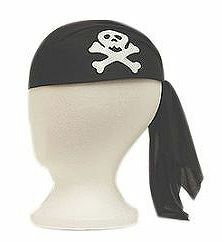 This black skullcap with white crossbones is a favourite for pirate costumes. 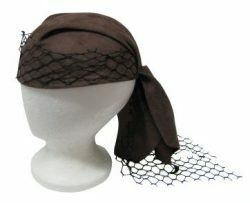 Brown seude bandana style pirate hat with black netting. 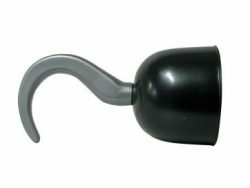 A hand held hook to complete any pirate look. 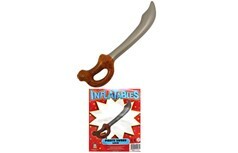 Inflatable pirate sword brown. 60cm. 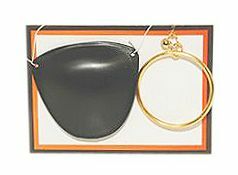 Standard black pirate eye patch and gold clip on earring. 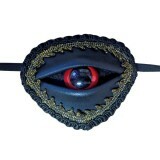 This is a great looking pirate eye patch -with a glass like eye peering out! Skull and crossbones leather look eye patch for a great pirate effect. Also has a gold clip on earring. 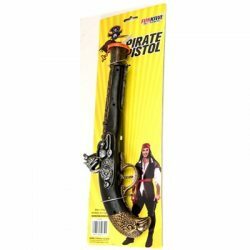 Add this pirate pistol to your full costume to complete the look. 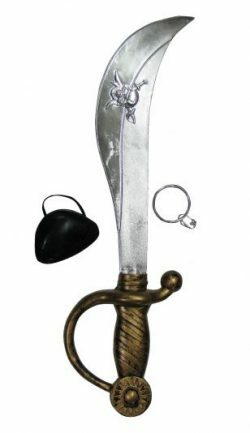 Pirate set including hat, eyepatch, hook and cutlass. 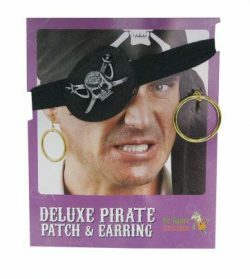 A great addition to your pirate costume. 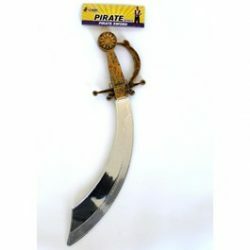 A great pirate sword for a mighty pirate legend. Cutlass sword that is a great addition to a pirate styled costume for adults and children alike. 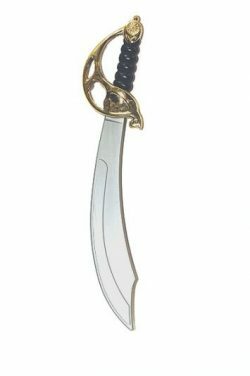 Pirate cutlass with eyepatch and earring.